…a large flower cluster in a corner, or maybe a wreath. 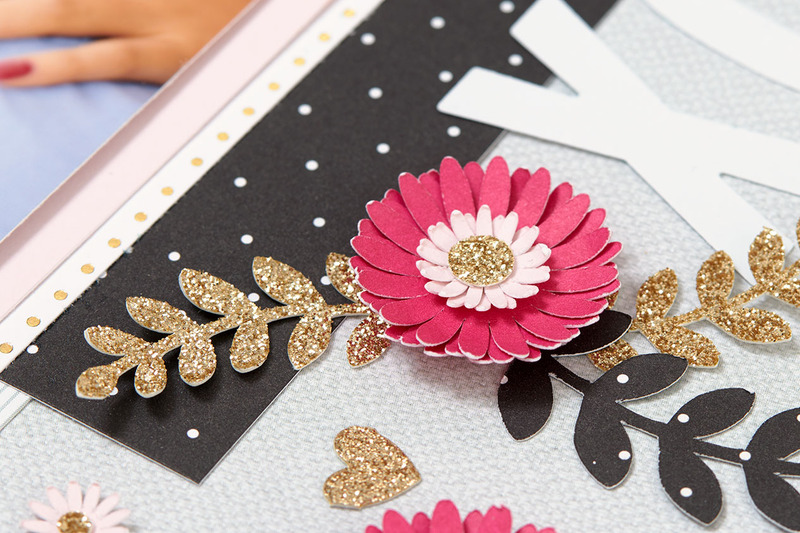 This certainly is a beautiful way to embellish a page, but have you ever thought about making your Cricut® flowers itty bitty? While large flowers create a dramatic focal point, mini-sized flowers add a certain daintiness to your artwork. 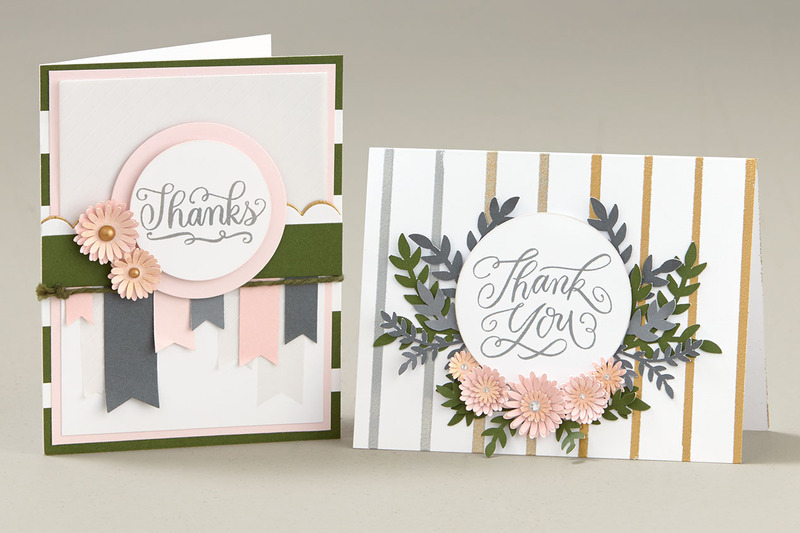 Mini Cricut®-cut flowers also work really well on cards. 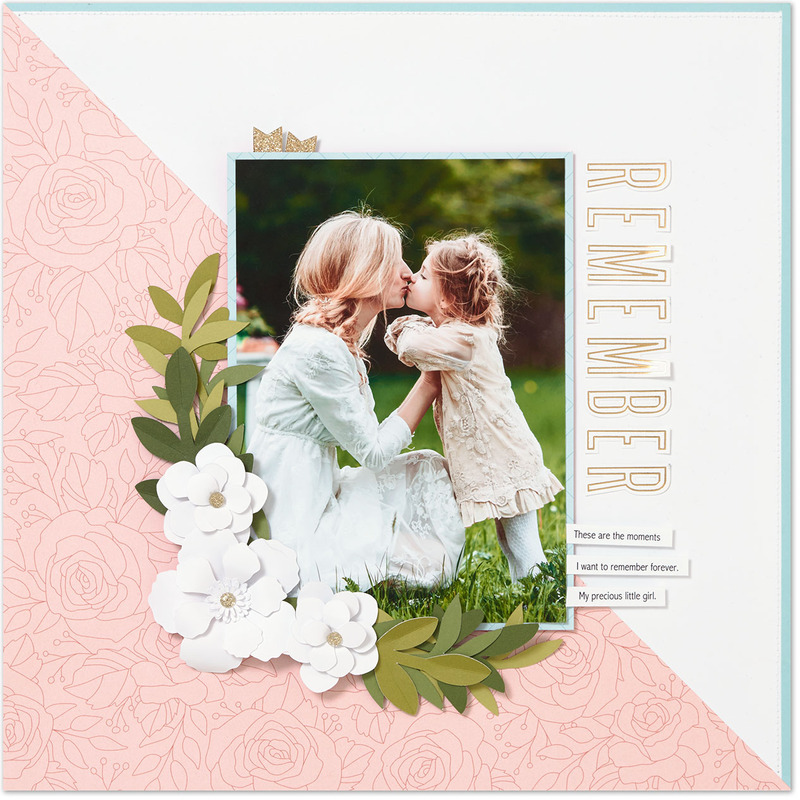 You can use them to frame your stamping, and when you use layered images like these, you get lots of extra dimension. Another great thing about mini flowers is that you have more flexibility for arranging them on your page. 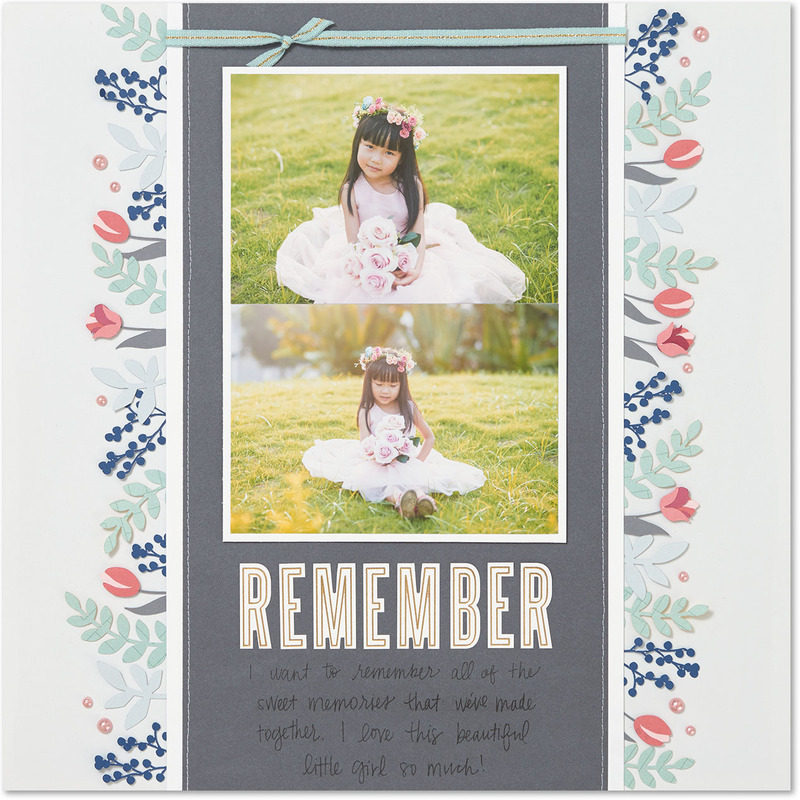 We love the idea of creating custom borders with these little flowers, like you see on the page above. It creates such a beautiful accent and draws the eye in to the photos. What do you think about this technique? Tell us in the comments below! Wow, beautiful LOs. I love the Flower Market cartridge and have cut many flowers form it. Thanks, Laurie! Yes, it’s a great collection! Lovely idea, especially on the cards – they look so dainty. Thanks for putting the Design Space numbers in, I just got a Cricut Air 2 and am getting to know DS. I love using the small flowers on cards. The border idea is especially great to frame pictures of any Size! What size Thin cut circles are used for the circles on the cards? If we are using the cricut to cut the flowers, why cant the size of the circles be given to cut with Cricut? Hi, Debi! We didn’t list the Cricut® cuts for the circles because we used our Thin Cuts dies to cut them. If you want to cut them using your Cricut® though, they are 2″ and 2 1/2″. Hope that helps! Different framing style for the XOXO page. Please comment. Had never though of using different colored, patterned paper to frame a pix. Hi, Doris! Sorry, what is it that you want to know? Love the artwork. I;m now going to try using the flowers more on my cards.Flower Market has been one of my favourite Cricut Collections.